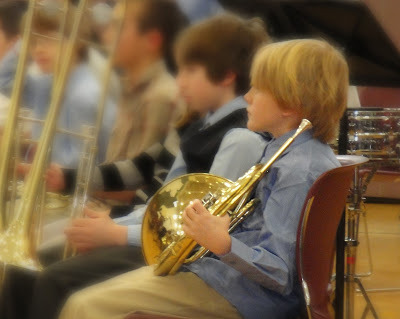 One of the perks to becoming a 4th grader is that students can join band, which Dylan couldn't wait to do. Since I never played an instrument, learned to read music, and to be honest should only probably sing in the shower, this band thing was totally new to me. Dylan was ecstatic though when he brought home his French Horn and although it's been quite the struggle to get him to practice regularly, his band teacher says he is a natural with the instrument. 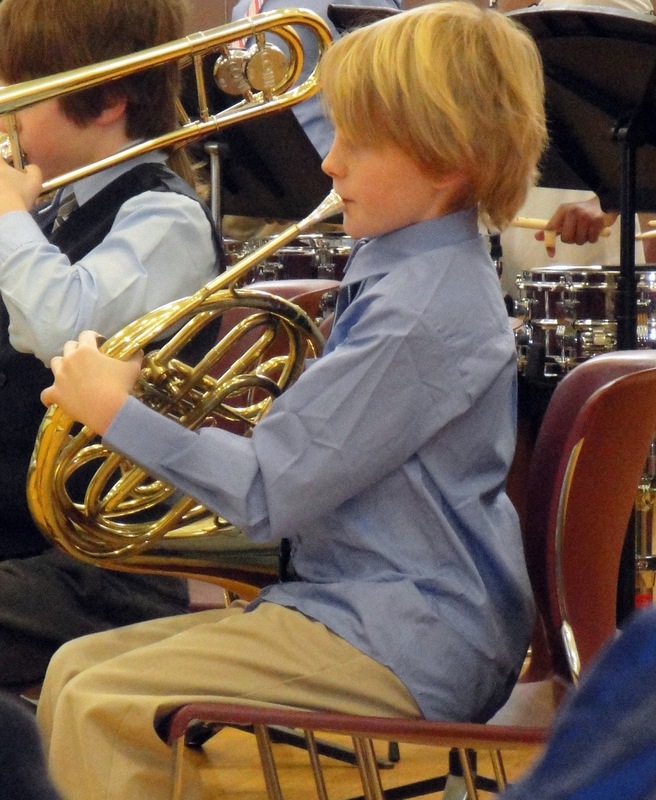 Last month, he participated in the winter concert at school, his first of what I'm thinking, is going to be many band concerts. I could tell you the story about how he failed to tell me that he needed a dress shirt with a tie, and how I panicked trying to figure out how to find a shirt in two hours while trying to teach my class. I could mention how I even considering stealing one off my own students back or how my mom saved the day by stopping at the store to buy him a new shirt and tie, but let's just focus on the concert shall we? 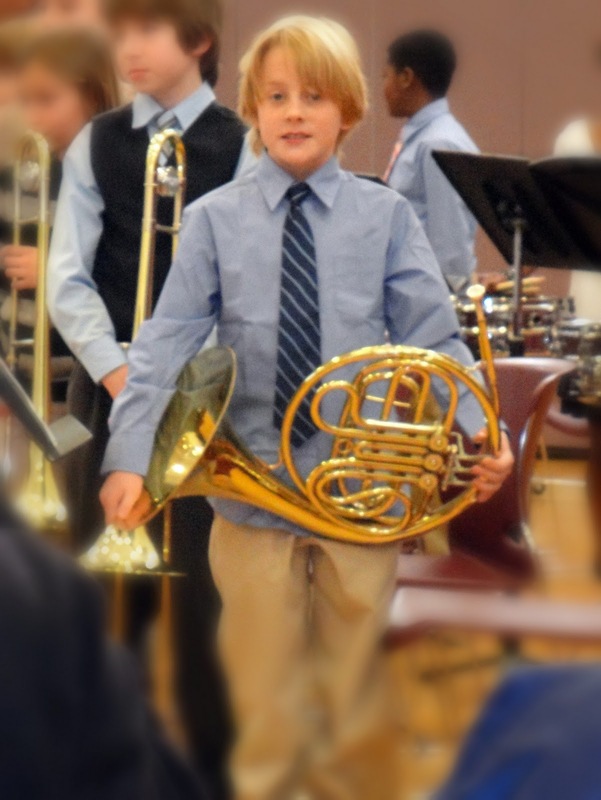 During intervals, the band teacher would introduce the students by instrument section and it was funny because Dylan was the lonely french horn player so he got the full attention of the audience. Totally not his thing! The band did a great job considering it was only the 2nd time they all played together due to snow delays and school closures. Here is a little video I made of the concert because I know you, all my wonderful readers, are dying to hear a 4th grade band play at their first concert!